Under 5 pieces left ! 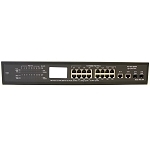 This is a 24 Channel POE Plus Switch. 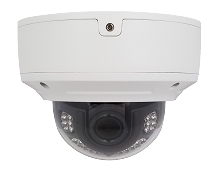 This can provide power to up to 24 POE IP cameras as well as to IP cameras that require POE plus. 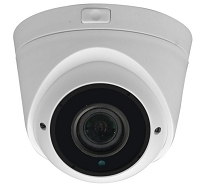 As of now, we have 3 IP 12X PTZ cameras that can use POE plus instead of 24V AC. So, instead of getting a separate POE injector you can now connect those to this switch. 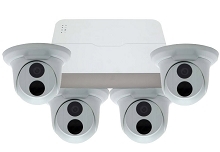 You can find those specific cameras in the related products section below. 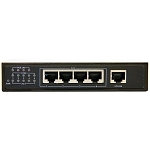 This 24 Port POE Plus Switch also has 2 ports for Gigabit Uplink to your network that you have the NVR connected to. You have your choice of using either Ethernet Cable or Fiber Optic Cable. If you choose to use fiber, you will need an adapter port (not included). 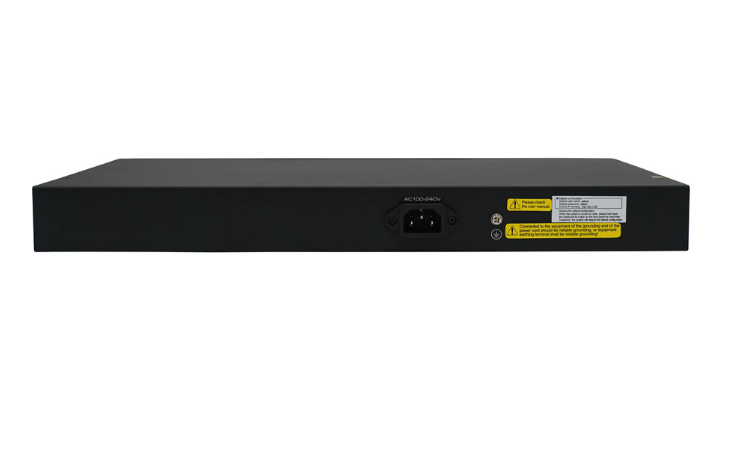 This switch is easy to install and is also rack-mountable. 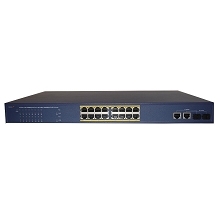 Network Cables: 10Base-T: 2-pair UTP Cat 3, 4, 5 up to 100 meters. 50/62.5um LC signal model or Multi model fiber cable. 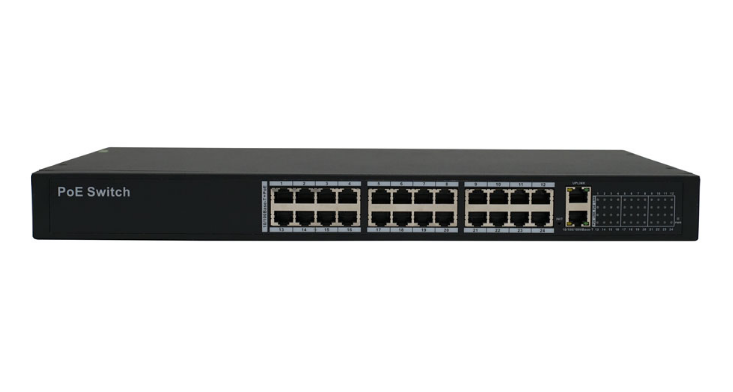 Number of Ports: 24 x 10/100Mbps auto-MDIX RJ-45 ports with 24 PoE enabled ports. 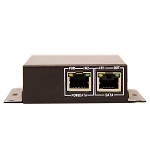 2 x 1 0/100/1 OOOMbps RJ-45 ports.